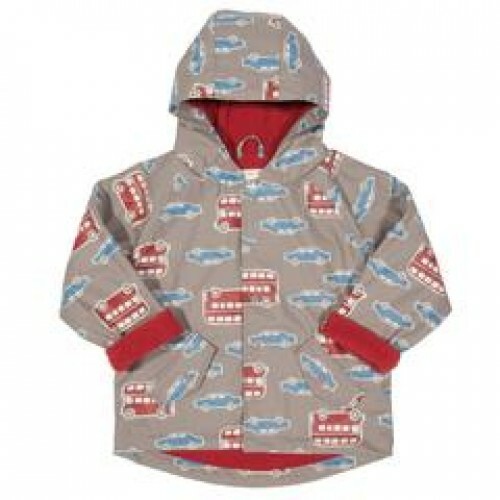 This fabulous splash coat is designed for as much splashing as you like! 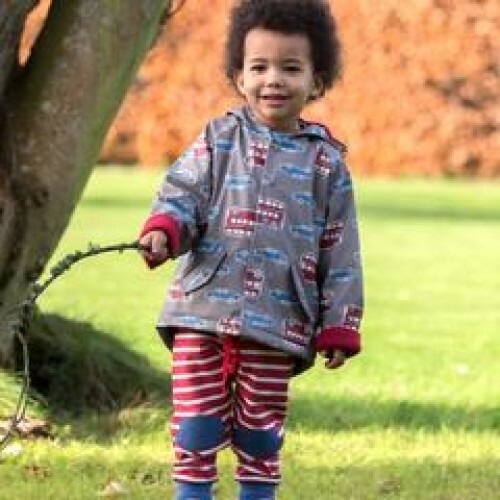 Made from a fully waterproof outer and cosy fleece lining it's both practical and super comfy. 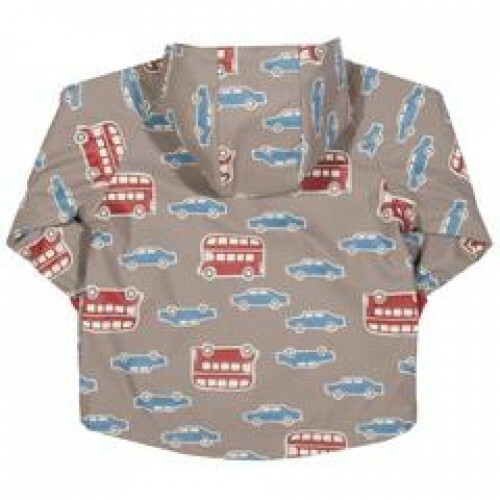 In a beautiful transport print.